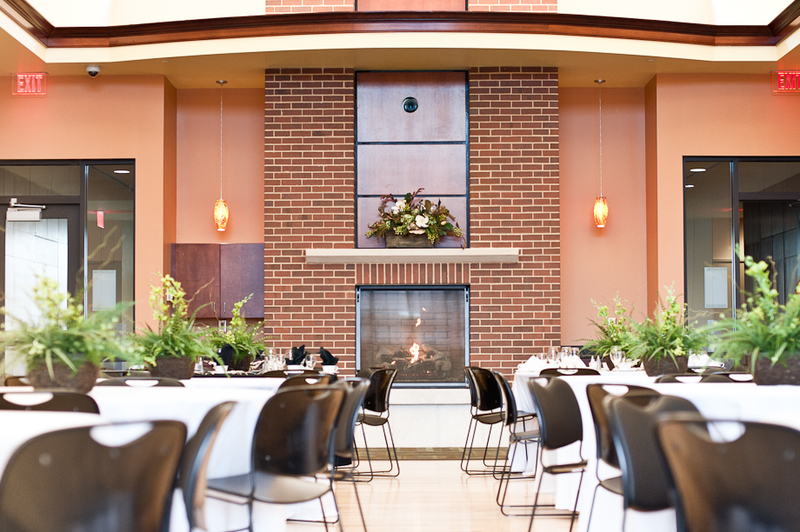 Inspired by the local mill community, The Salvation Army Kroc Center was built with your special event in mind. Our unique gathering spaces are all housed under one giant roof and outfitted with state-of-the-art technology. No matter if you are planning a meeting, party, theater performance or wedding, we invite you to come take a look at our various event spaces in person. 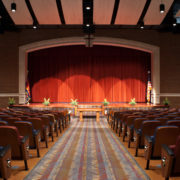 The Salvation Army Kroc Center Chapel Theater is ideal for theatrical and dance performances, competition events, musical recitals, graduation ceremonies, weddings, conferences and seminars. 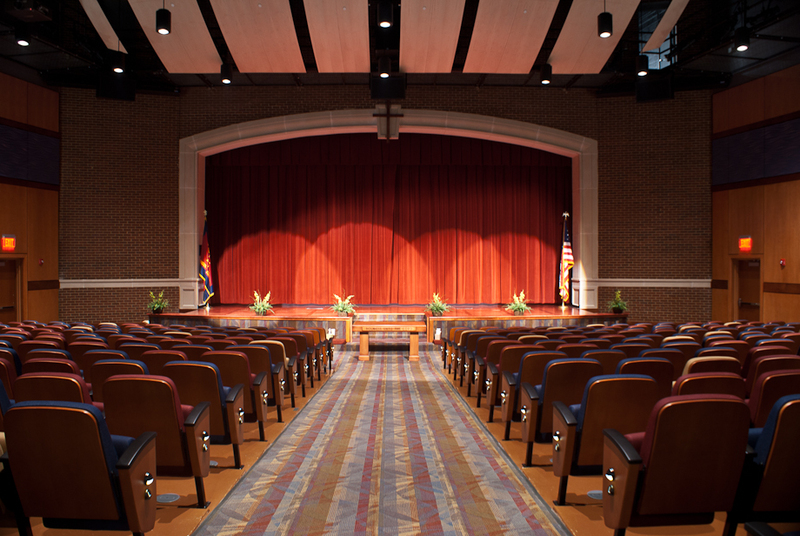 Our state-of-the-art theatre is fully equipped with seating for 400, a 2,100 square foot stage, high-end theatrical lighting, motorized orchestra pit, multiple curtains and superb acoustics. 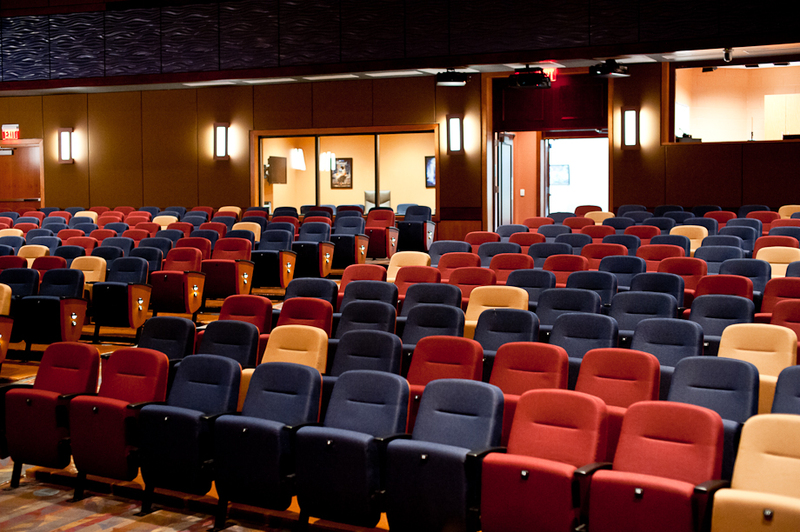 Support facilities include a green room, two dressing rooms and adjacent meeting spaces to suit all your theater needs. 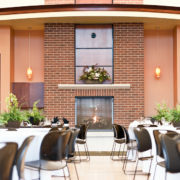 Planning a corporate meeting, sales retreat, awards banquet, community event, party, shower, conference, seminar or fundraiser? Want to create your own package? 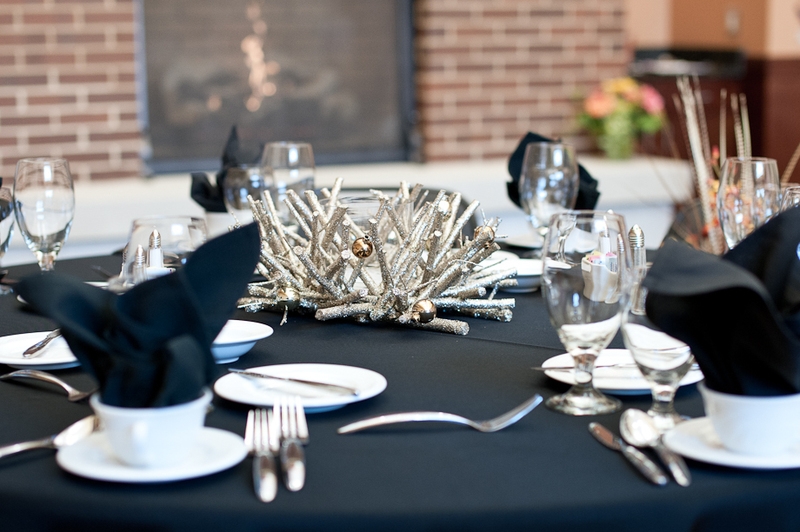 The Banquet Hall offers wireless internet, modern audio and visual equipment, and flexible room arrangements to help meet all your event needs. Seats up to 250 guests. With a seating capacity of 66 guests, our Classrooms are perfect for celebrations, seminars and corporate meetings. 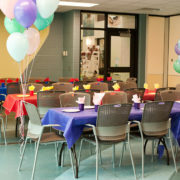 The two classrooms can be utilized individually or as a whole, creating exactly the size you need to suit your event. 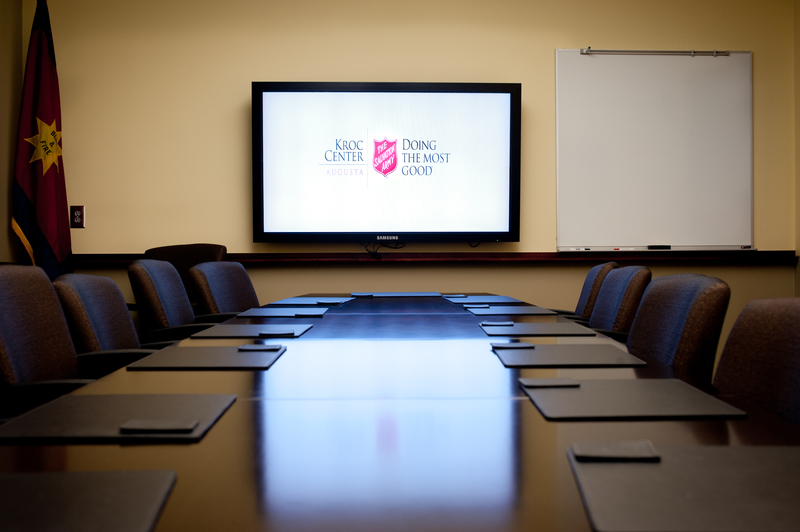 For smaller meetings, our conference room is available and includes wireless internet access and presentation capabilities. The Conference Room will seat up to 15 people. Looking to host the best party ever? 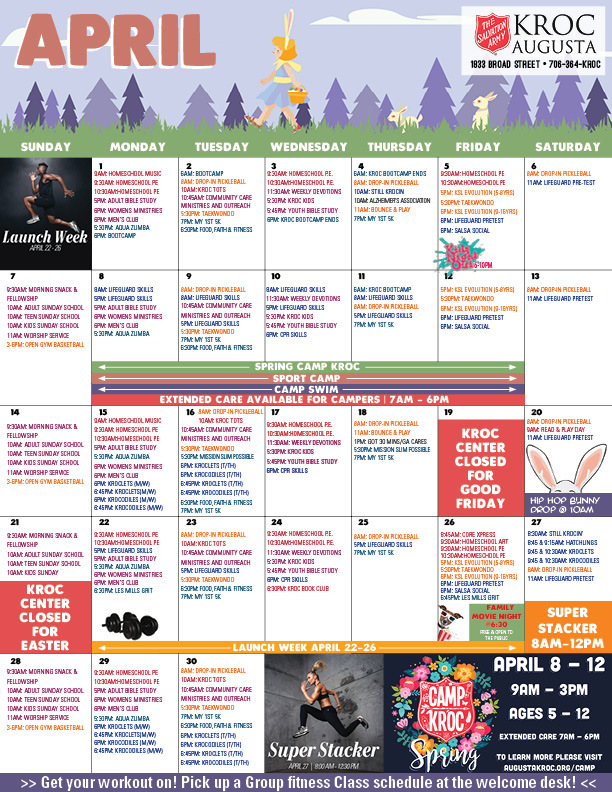 Look no further than the Kroc Center of Augusta! 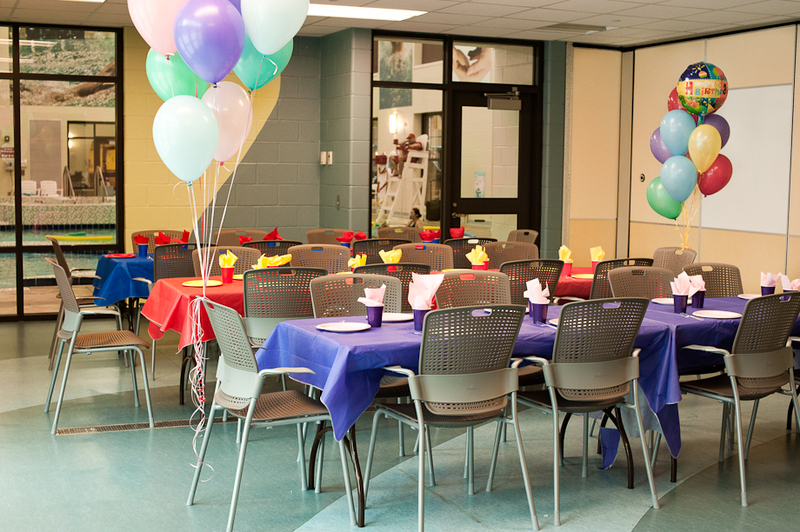 We have multiple unique spaces that you can choose from to host the ultimate birthday party! With an indoor waterpark, a full size gym and plenty of party rooms you can’t go wrong when you book with us! 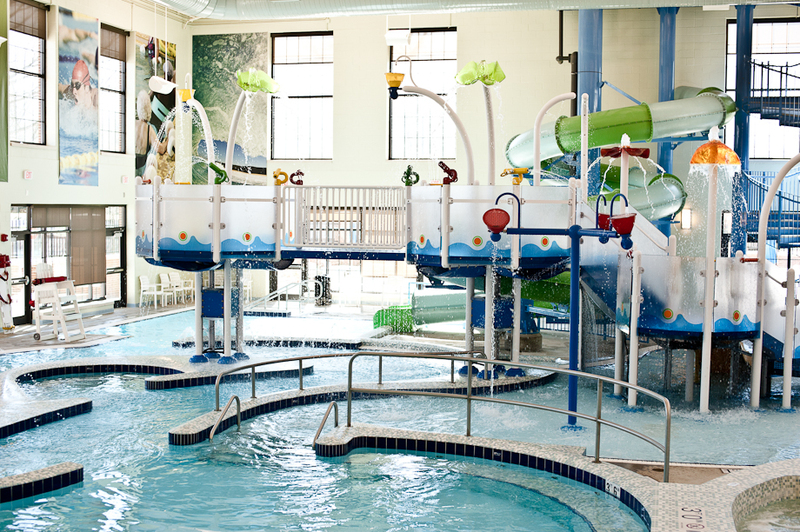 Get ready to swim, jump and bounce your way into a fun-filled day at the Kroc Center!